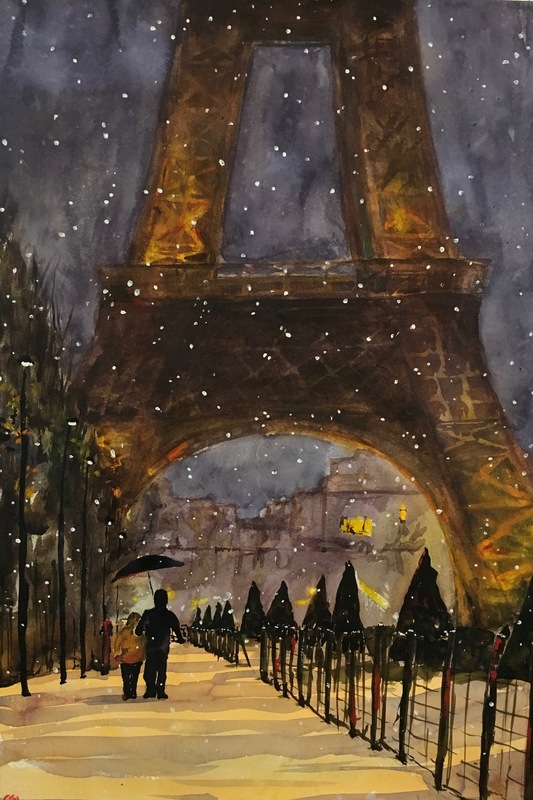 This entry was posted in The Arts and tagged Eiffel tower, Paris, Watercolor by hankinsonholmes. Bookmark the permalink. That is, night time snow! Love the strolling couple and the night stars.